Kids spend a lot of time looking at smartphones and television screens. Also, they’re still developing emotionally and learning how to manage how they feel. Complicating this matter is that children also experience negative stressors, such as bullying. Yoga, however, is a practice that can help them to manage life’s early challenges as they grow and mature. It can prove challenging for parents to interest children in things that are good for them, such as mindfulness and meditation. On the list of things that children find exciting, these activities usually don’t rank high on their list. The Chopra Center, however, is one solution for parents who want to promote mindfulness for their kids. The nonprofit organization is dedicated to improving the health of peoples’ minds, bodies, and souls. The Chopra Center hosts a special no cost, 8-week program designed to promote mindfulness and wellness for families. Parents can sign up for the program on The Chopra Center website. The class description promises to help parents and their children think positively as well as boosts confidence and focus. It also highlights the fact that training is a benefit that will last a lifetime. Across the nation, mindfulness programs, such as the one hosted by The Chopra Center, are growing in popularity. Studies show that these programs improve academic performance, decrease stress and enhance the emotional maturity of children. However, parents must put in a bit of work to interest their kids in mindfulness activities. They have to figure out how to get the entire family to try the activity as well as make it fun so that they stick with it. Fortunately, there are many ways for parents to get their kids interested in mindfulness and meditation. Believe it or not, kids are natural yogis. Their developing bodies are loose and flexible, and most kids enjoy experiencing unusual orientations, such as being upside down. Some yoga activities are extremely challenging. However, there are easy yoga exercises that parents can teach their kids. One trick to help young kids catch on to yoga fast is to describe poses using your own easy to understand terms. For example, you could describe a pose as “reach for the sky.” Furthermore, you can make a game out of a basic yoga routine using your own made-up phrases. Every parent wants to ensure the health of their children. Sometimes, this requires connecting with them through something that they already enjoy. Kids minds are like sponges. They find their way around the latest innovations quickly. Parents can use this to their advantage. With popular mindfulness smartphone apps, for instance, they can introduce their children to mindfulness. As an example, smartphone apps can introduce children to the first principle of mindfulness – self-awareness. The Smiling Mind app teaches children to become aware of what’s happening with their bodies. Another kids’ mindfulness app that’s sure to please parents as well as their children is Calm, which uses children stories to teach children how to relax. According to the Centers for Disease Control and Prevention (CDC), children should participate in physical activity for at least one hour every day. This encourages their healthy development as well as prevents disease and weight problems. This is important, as childhood obesity is a major problem in the United States. Luckily, there are many online guides and resources that can help parents develop activities and exercises that will keep their children healthy. The world is a busy place. Often, parents forget how much children are affected by the environment. However, they can help their kids to find peace and tranquility by introducing them to mindfulness and meditation at an early age. Mindfulness and meditation are great ways to ensure kids’ mental and physical health. By teaching these practices to children, parents can give kids everything that they need to stay centered for an entire lifetime. How Can These Mindfulness Strategies Create A Better Life? In teaching and learning meditation for over two decades, meditation really comes down to this. By working with your rational and intellectual mind, the effects of meditation trickle down and impact your emotions, your physical state, and your overall health. That alone creates a much richer life experience. How Can These Mindfulness Strategies Create A Better Life? In addition to meditation, you can use mindful strategies to change your life. You learn that the thoughts flowing through your mind are not reality. What you do about those thoughts is the reality. Mindfulness is a lifestyle that brings meditation into daily action. Mindfulness Meditation offers a power that would take you beyond your limitations cognitively, physically, and spiritually. It will take some time to master the different techniques. All you have to do is maintain a consistent practice, and when you do, you will thank yourself for allowing mindfulness meditation to enter your life. 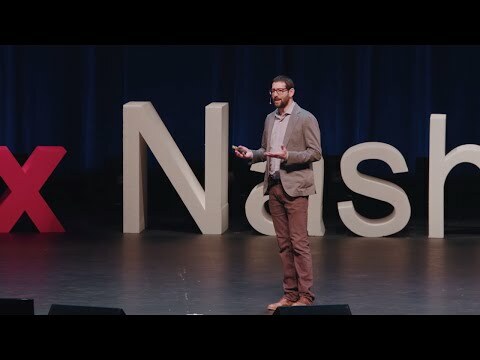 Check out this 3:00 video for simple mindfulness strategies from Cory Muscara the founder of the Long Island Center for Mindfulness. Take 5 is a great mindfulness and relaxation exercise to use with kids, adults, and anyone in between. I teach it in education, healthcare, and corporate settings and people love it. Try it out! This is great information on how to practice simple mindfulness techniques in your daily life. Here are a few easy mindfulness strategies you use can use to inject more mindfulness in everything you do. 1. Use short one-minute breathing meditations throughout your day. It’s a great way to stay in focus. 2. When speaking to another person, really listen to what he or she is saying instead of preparing your response. 3. Chores like doing the laundry can be mindless. Instead of being bored, focus all your attention on the task. Remember how much fun doing simple things was when you were a child? That’s because you were totally engaged instead of trying to get it over with. When doing the wash, for example, turn your awareness to the texture and colors of the clothes. Notice that just-washed smell. Make folding laundry a game by paying attention to how your hands move. Be in the present. 4. Few of us eat mindfully. We can barely remember what we had for breakfast. Not only is gulping down food wasteful, but it can also cause weight gain. Focus fully on what you are eating instead of watching television or answering your email. Eating is one of our greatest pleasures. Treat it as such. Prepare a colorful plate of healthy ingredients. Enjoy the aroma of freshly cooked food. Notice the texture as you eat. An orange will feel entirely different from an apple. Can you discern the different spices as they hit your palette? Make each meal a gastronomic and mindful adventure. Savor each bite. Pay attention to the type of foods you eat. Sugars, simple carbs, prepared foods, and unhealthy fats can cause fatigue and lead to serious diseases. You want both your mind AND your body to be at peak performance level. Eat lots of fresh produce, nuts, wheat products, and lean meats and fish. 5. Slow down. What’s your hurry anyway? Many of us take pride in being busy, regarding it as a badge of productivity. We race through our day without awareness like robots, rushing around without knowing where we are or where we’re going. Racing through life mindlessly does not add to our happiness. Quite the opposite. Without living in the present moment, we are far more likely to make careless mistakes. When we physically slow down, we also slow down our brain. Take time for a relaxing, quiet mindful walking meditation. Sit in a park and watch squirrels chase each other. Stop for 15 minutes and listen to your favorite music. Take a break and reconnect with yourself. 6. Like rushing through life, multitasking renders us mindless to the present. We’re not focusing on one task but are scrambling mindlessly to do several tasks at once. We’re not accomplishing more, we just paying less attention and making more mistakes. It’s not only healthier but far more efficient to focus on one task at a time. Life is not a race; it’s a journey to be savored. Mindfulness helps you stay in the moment as you perform one task, then the next. It’s also much less stressful. 7. Develop the habit of “checking in” with your mind. Mindfully observe your thoughts and emotions on a regular basis. Become aware of how you feel when called to the boss’ office or pulling into your driveway at the end of the day. The more you do this, the more you will recognize “script patterns” as they pop up. 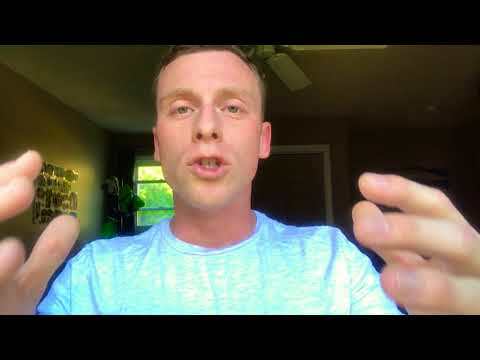 This will help you control the torrent of negative self-talk instead of becoming overwhelmed. Any time you increase awareness, you are practicing mindfulness. Keep in mind, mindfulness isn’t about always feeling positive. It means always being aware of what you are feeling. 8. Closely related to slowing down, and equally as important, is doing nothing. Almost every day, someone asks us, “How’s it going?” We automatically reply, “Oh, busy, busy,” as if it were a badge of honor. This dialogue, which seems to happen constantly, is as mindless as multitasking. Our energy level flows and ebbs, and downtime becomes a physical necessity to boost up our optimal performance. Instead of feeling guilty for spending an afternoon relaxing at the beach or enjoying a movie, schedule it into your mindful lifestyle on a regular basis. The benefit of regular downtime is that we can sit back and simply enjoy the present while using all our senses. Smell the flowers, hear the birds, watch a puppy frolic and enjoy all that life has of offer more and in greater detail. As you learn to understand yourself, you will develop a better understanding of why you act in certain ways. Some habits may be helpful, but other automatic behavior may be holding you back. That’s what makes mindful meditation so effective. Greater awareness leads to opening doors in many areas of your life. Recent studies on mindfulness have shown that the benefits of regular mindful meditation go far from what was originally believed. The mind and body do work together as a team. The practice has shifted from guru-led-hippies chanting to scientific studies at institutions such as John Hopkins University and physicians recommending the practice to their patients. And the results have been phenomenal. Let’s take a look at some of the proven benefits of mindful meditation. While mindful meditation is not a cure-all, studies have shown it can greater alleviate the suffering. In clinical trials, mindful meditation has shown that mindful meditators experience over 50 percent less chronic pain, while long term meditators have reduced their chronic pain by 90 percent. How is that possible? Pain can come in two forms: physical and mental. When the brain reacts negatively to pain, the pain becomes amplified. By controlling how we react to the pain, we can greatly reduce its intensity. Mindful meditation includes actually focusing on the areas of the body that feels pain, observe, and release the struggle both physically and mentally. Many people find it difficult to discuss sexual dysfunction, even though it can be a pervasive problem. From low libido, poor self-esteem and body image to feelings of anxiety and depression, the brain can wreak havoc with sexual enjoyment. Non-judgmental mindfulness enables partners to communicate more effectively about sexual needs and concerns. We all have “moods.” The happiest person can feel down for a while, and the bluest person can feel up on occasions. But many people’s moods get bogged down with chronic depression and anxiety until there is little else. Research has shown that people with severe mood disorders actually show changes in certain areas of the brain. People suffering from depression and anxiety frequently live in the past or the future. Their mind can ruminate on hurts and injustices that happened years ago, with mental narratives obsessing around “should have.” Or else, they can worry about things that have not yet happened, and aren’t likely to happen. Mindful meditation is the perfect tool to bring troubled thoughts back to the present. Stress, anxiety, and depression can keep the brain stuck in negativity and self-absorption, thus reducing opportunities for compassion and empathy toward others. Through mindful meditation, the brain can be retrained to enhance these positive emotions. We live in a world of distractions. People proudly boast of multitasking, although multitasking decreases efficiency rather than increasing productivity. When we check email while on the phone and at the same time read an important report, neither task has our full attention. Our brain, too, can “multitask.” When we need our attention on a project, it can intrude with worries about unpaid bills, an unhappy relationship and an updating event for the weekend. And while our mind is attempting to deal with this mental tsunami, we remember an overdue library book and phone messages we failed to return. For many people, this out-of-focus state of mind is a normal occurrence. When the brain is overwhelmed with a flood of unrelated thoughts and keeps jumping from one thought to the next, it cannot concentrate on the task at hand. Regular mindful meditation lets us in control our wandering mind. We learn to recognize interruptions and set them aside for a more appropriate time. Mindful meditation allows us to get more done because it keeps our mind focused on the present. We have already discussed that mindful meditation will relieve stress. It’s such a critical, it bears a closer look. We experience thoughts and emotions every moment of our waking life. It’s important to understand that emotions are neither good nor bad. They simply are. When negative emotions occur, we can either react, or we can acknowledge and move forward. The problem is not the emotions themselves, but how we respond to them. These negative emotions are frequently caused by something that happened long in the past or haven’t even happened at all. By increasing our awareness, mindful meditation keeps us from dwelling on these negatives that are utterly irrelevant to the present. When our brain becomes jumbled with emotions, mindfulness helps us clarify what is important and what is not. As we let go of mental stressors, our body automatically functions on a higher level, enhancing health and alleviating life-threatening diseases. Statistics from the Center for Disease Control reveal that 110 million deaths each year are the result of stress-related illnesses. That is a staggering number. Mindful meditation can greatly increase your chances of not becoming a statistic. That is the essence of resilience – not our failures, but how we deal with them. Resilience lets us deal with the ups and downs of life. Change and challenges are seen as just another opportunity for growth. Resilience is the ability to get back up after adversity. Due to the unpredictability of life, there will always be joys and sorrows. Resilient people are able to welcome change and difficulty as an opportunity for self-reflection, learning, and growing. How we react to life’s stressors is a choice. We can turn fearful, bitter and blame the world for being unfair. Or, we can use mindfulness to change our thinking. We can’t control the world, but we certainly can control how we react to it. A study published in the Journal of Personality and Individual Differences showed that mindfulness helps people cope with hard times – and there will always be some hard times. Instead of reacting, mindful meditation allows us to hit a mental “pause” button and simply accept. “Bad” feelings or thoughts aren’t the enemy. The problem is our reaction to those thoughts. When we use mindfulness meditation to become aware of these thoughts, we have the power to accept and move forward. The reptilian part of our brain approaches these situations with severe caution. Its sole purpose is to ensure our survival, so anything new and different is automatically seen as dangerous. This part of our brain immediately calls for safety. Don’t make waves. Don’t rock the boat. Don’t do anything crazy. Anything new and creative has a hard time getting past this reptilian brain. But mindful meditation can calm the reptilian brain and make it less reactive. This allows new, creative ideas to flourish. Some of the world’s most creative companies, such as Walt Disney, General Mills, and Google encourage innovation and creativity in their employees by making meditation rooms available to their employees. Studies have shown that people who practice mindful meditation are less rigid in their approach to new ideas and problem-solving methods. The next time you’re stuck while preparing a report, let mindful meditation help you stand out from the crowd that plays it safe and get noticed. Mindful meditation gives us control over ourselves, how we think and how we behave. Our actions are no longer random and self-destructive. Mindful meditation and other mindful practices can dramatically improve how you live each day. All you need to do is get started. Imagine getting to know the real you and reaching your full potential. Imagine enjoying each day to the fullest. It’s not magic. It’s about reclaiming our authentic self. There is much in life over which we have no control. Begin slowly by meditating for just a few minutes each day, then gradually increasing the time. You may not notice the changes immediately, but they will happen. All you need to do is get started on this powerful journey. What is the purpose of mindfulness strategies? Mindfulness strategies are a type of meditation in which you focus on being intensely aware of what you’re sensing and feeling in the present moment, without any interpretation or judgment. When you are practicing mindfulness you can experience a decrease in emotional reactions and an increase in the cognitive focus of the task you are performing at that moment. Why is mindfulness so important? Mindfulness helps improve our concentration and control habitual thinking that contributes to the high levels of stress that is so prevalent in our society. Mindfulness is an incredible tool to help you understand, tolerate, and deal with your emotions in healthy and constructive ways. Observe. Observing is just paying attention, on purpose, to focus only on the present moment. Describe. Describing is putting words the experience you are having at the moment. Participate. Participating is throwing yourself into the present experience during that moment. Bring nonjudgment and compassion for yourself when you are mindful. One mindful moment at a time. Experience each event in a rich texture of colors and sound. Effective practice in being mindful as often as you can to truly experience the wonder of life. What Is The Top Mindful Meditation App For Android and iOS? I have done some heavy lifting and research for you to find the best mindfulness meditation apps. These are just a few but they are very good. Of course, there are other meditation methods within these apps, but all of them excel at teaching and learning mindfulness. What Is The Top Mindful Meditation App For Android and iOS? Insight Timer Meditation App – Insight Timer offers over 4,000 guided meditations that can be listened to in any random order. The app creates a community feeling by announcing how many other people are currently meditating. Home to more than 6,100,000 meditators, Insight Timer is rated as the top free meditation app on the Android and iOS stores. More meditation is practiced on Insight Timer than any other app. 14993 free Guided Meditations – Every day our community spends more than 6,000 hours listening to guided meditations. 3105 of the world’s best meditation teachers – Every day our community connects with 3105 meditation teachers in 25 languages. 6136 Groups – 6,100,000 meditators discussing topics from humor and compassion to spirituality and support. 6.1m meditators – Every day we welcome on average 10,000 meditators to our community. #HEROTech weekly App Review. 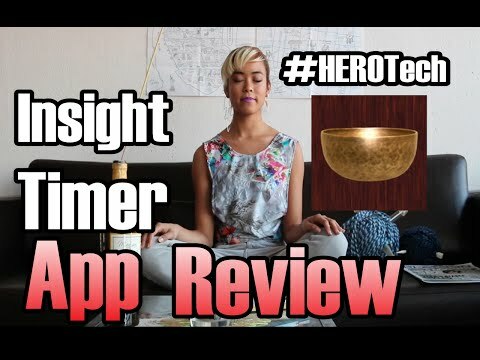 Here’s how to use the Insight Timer app to support a daily meditation habit! In today’s high-tech world, there are many apps that blend helpful technology with meditation techniques. Whether you prefer deep breathing or guided imagery to help relax your mind, meditation can have significant benefits on your mental and physical health. But for some of us, it can feel hard to find the time or energy to take a class. These apps make it easy and possible to do it anywhere. Research even suggests that it can improve the symptoms of anxiety, depression, and insomnia, as well as reduce blood pressure. It’s somewhat ironic that while modern technology can cause a lot of stress, there are downloadable mindful meditation apps that can help guide you through some soothing mindful meditations. You can choose from a variety of specific topics, such as sleep, anxiety, depression, stress, etc. or participate in an entire mindful meditation program. Make them a part of your daily routine. These apps can be downloaded to your Android device from the App Store for free. Some more complex programs offer a paid subscription. It’s certainly a worthwhile investment. There are hundreds of meditation apps, so let’s look at some of the most popular ones. Headspace has over eight million users and counting, including entrepreneurs such as Richard Branson. The app teaches correct breathing techniques and guides the listener through various visualization exercises and walking meditations. It is considered the best meditation app for beginners. Headspace offers a more intensive ten-day meditation program for a monthly subscription of $10.00. It’s hard to talk about Headspace without talking about Andy Puddicombe. So let’s start there. In his early twenties, Andy cut his Sports Science degree short to become a Buddhist monk. 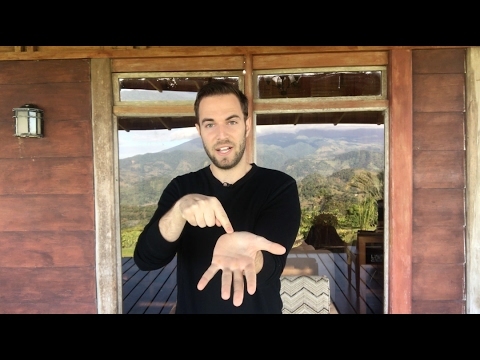 For over 10 years, his meditation training took him across the world to Nepal, India, Burma, Thailand, Australia, and Russia. Eventually, he was ordained at a Tibetan monastery in the Indian Himalayas. After completing his monastic commitment, Andy returned to the UK with the huge-yet-simple goal of teaching meditation and mindfulness to as many people as possible. To demystify the mystical, Andy set up a meditation consultancy and began working with politicians, athletes (that sports science background finally came in handy), and business leaders. That’s when Andy met Rich Pierson, who needed help dealing with the stress of the advertising world. Before long, Andy and Rich were skill-swapping meditation for business advice. That’s when Headspace was born. We’ve spent the last 5 years refining the inward platform to provide the sharpest and most versatile behavioral change app building blocks supporting people’s efforts in applying evidence-based principles to their daily life. With over a quarter of a million downloads and several research apps developed with some of the leading researchers and research organizations across a diverse set of fields (e.g., reducing teacher burnout with mindfulness, treating vets who are self-medicating PTSD symptoms with substance abuse, reducing teen reactivity that leads to regretful text messages), we’re now starting an outreach to the press to share our story and get it out there in bigger ways and deeper into daily life. The Smiling Mind app is divided into age-specific categories, for younger children, teenagers, and adults. There are also meditations specifically for sports and the workplace. Each meditation has a number of daily sessions to integrate and expand on a particular topic. Who is Smiling Mind? We’re a 100% not-for-profit organization that works to make mindfulness accessible to all. We want to live in a world where everyone has the skills and ability to manage life’s challenges and live to their full potential. This starts with a healthy mind because this underpins our ability to live, learn and work in an increasingly complex, digitally connected and fast-paced world. The mental health statistics speak for themselves. Something needs to change. Our vision is to help every mind thrive and that’s why we believe that taking a pre-emptive approach to support mental health is essential and it needs to be accessible to all. The work we do focusses on where we can make the biggest positive impact – in schools, in workplaces, and in communities so no matter where you live or what your life situation is, you can access our programs and tools. Join us to help make this change. Smiling Mind and our state-of-the-art technology platform has since become the trusted digital tool for individuals, workplaces and the classroom with over 3.5 million app downloads and over 55,000 educators now using our resources. The Aura Meditation app works on a slightly different premise than some of the other apps. It sends you a new meditation every day, so you don’t have to listen to the same one twice. The app is personalized for you, according to age and specific mindful meditation interest on a certain day. Different meditations for different moods. The app allows you to save the meditation to listen to again. To personalize the experience, Aura initially asks about your age and how stressed, optimistic, and interested in mindfulness you are. You inform the app of your mood on a specific day, and it will send you a complimentary meditation to match. You can save any daily meditation for repeated listening. Aura understands your emotions and helps you feel better. Whenever you’re stressed & anxious or having trouble sleeping, Aura will find mindfulness meditations, life coaching, stories, and music, created by the best therapists and coaches, personalized just for you. It takes just 3 minutes to feel better, and Aura will continuously learn about what helps you and improve the recommendations. Omvana offers beginners, intermediary and advanced 20-minute meditations. There are 75 free meditations from which to choose, but there is no guidance as to which one might be best for you in a particular situation. The Ultimate Meditation Experience: Hundreds of world class meditation tracks for Focus, Peace, Sleep, Enlightenment, and More. Omvana Brings You The World’s Best Transformational Audios for Meditation, Sleep, Relaxation, Productivity, Focus & Inspiration – In One Beautiful App. Download it to your smartphone or access it via any web browser. Choose from hundreds of guided meditations, inspirational speeches, binaural tracks and much, much more. Stop, Breathe & Think is unique in that it actually explains the process of meditation, how it works and can benefit the meditator before the meditator starts to make use of the 30 free meditations. The 10-minute meditations revolve around breathing, kindness, staying calm and nature sounds. The app tracks how often you meditate. Practice mindful breathing to create space between your thoughts, emotions, and reactions. The Calm Meditation app has a number of soothing nature sounds, breathing exercises, relaxation meditations, and sleep-inducing “bedtime” stories to lure the listener to sleep. There are 16 meditations in all, each lasting from 3 minutes to half an hour. Enjoy 100+ guided meditations to help you manage anxiety, lower stress and sleep better. Calm is the perfect mindfulness app for beginners, but also includes hundreds of programs for intermediate and advanced users. The Mindful App has options for everyone. It is a subscription app that can be downloaded with free features. 5 guided meditations, relaxing nature sounds, and daily reminders are free. The subscription also includes 20 meditation courses and 200 meditations specifically for relationships, calmness, body, and focus. The annual subscription fee is $59.00. With a wide variety of options to suit all levels and types of meditators, The Mindfulness App is the perfect tool for anyone looking to improve mental health and overall wellbeing. While teaching Mindfulness courses I noticed how difficult it was for the participants to remember to do the daily meditations included in the program. I gave all kinds of suggestions such as doing it when waking up, before eating or going to bed, I was not so successful. Then I came to think about a character in the Swedish cartoon series Bamse, the world’s strongest bear. His best friend is Shellman, an extremely wise tortoise who carries almost everything you can think of in his shell including a food-and-sleep-clock. This clock tells him exactly when to eat and when to sleep and Shellman never breaks his routines, even if it’s in the middle of an adventure. So the idea came up to create a similar clock for Mindfulness. Besides offering an extensive number of meditations with world-renowned teachers, the app also includes a reminder function which can be activated on specific times and places. With the support of the app, the practice is easily done in the midst of a busy life. Why not let a calming meditation app become a part of your daily routine? We’ve selected these apps based on their quality, user reviews, and overall reliability as a source of support for people who want to get their “om” on. If you want to nominate an app for this list, just add your nomination in the comments below. What exactly is an app? Simply put, an app is a type of software that allows you to perform specific tasks. Applications for desktop or laptop computers are sometimes called desktop applications, while those for mobile devices are called mobile apps. When you open an application, it runs inside the operating system until you close it. Why do we use apps? A well-designed mobile app can perform actions much quicker than a mobile website. Apps usually store their data locally on mobile devices, in contrast to websites that generally use web servers. Apps can further save users’ time by storing their preferences and using them to take proactive actions on users’ behalf. Do apps cost money? Most apps are free or cheap to buy but some apps can be expensive. You’ll need to register a credit or debit card with your relevant app store to buy these and you’ll be charged for them in your monthly bill or out of your credit. When you download an app you use data. Are Apps Safe? Even the most reputable app stores cannot guarantee that every app is safe. Just because an app is on the Google Play Store or the Apple App Store it doesn’t make it safer. These companies regularly remove apps that might contain malware when they find them, but some apps slip past and downloaded by unsuspecting users. Can Mindfulness At Work Improve Your Career and Your life? After twenty-seven years of working in the government and with multiple defense contractors, I can tell you how important it is for the workplace to operate as smoothly as possible. Here’s a ton of information you can put to work in your workplace starting today. Can Mindfulness At Work Improve Your Career and Your life? Mindfulness increases your awareness of these destructive patterns within the business, helping you recognize them before they run rampant and completely disrupt the workplace. Mindfulness in the workplace improves employee focus, attention, and behavior in and out of the workplace as new management-based research has concluded. An August Financial Times article describes the growth in mindfulness in the West and cites General Mills as one company that is making it an integral part of its company culture. [General Mills] has even begun research into its efficacy, and the early results are striking. After one of Marturano’s seven-week courses, 83 percent of participants said they were “taking time each day to optimize my personal productivity” – up from 23 percent before the course. Eighty-two percent said they now make time to eliminate tasks with limited productivity value – up from 32 percent before the course. And among senior executives who took the course, 80 percent reported a positive change in their ability to make better decisions, while 89 percent said they became better listeners. You don’t need to meditate for twenty minutes every day to experience the benefits of mindfulness at work. Would you try something new at work if it meant lower stress levels and a better corporate culture? Mindfulness has been shown to offer these benefits in the workplace, which is why more and more companies have started to take notice. Aetna opened a Mindfulness Center, while Google and Nike offer relaxation rooms designed just for meditation. Positive wellbeing in being prepared for whatever comes next. Are you ready for mindfulness at work? Try these 5 mindfulness tips from Adriana Girdler from CornerStone Dynamics to feel more in control of your everyday work life. 5 Tips To Being Mindful in the Workplace: How To Be More Mindful At Work Mindfulness in the workplace – it’s a great idea, but how do we implement it at work? This is great information on how to practice mindfulness techniques at work and in your daily life. What has been your experience using mindfulness in your work life? Share this below in the comments and spread the good word to help others! Mindful meditation at work has proven to help reduce stress and deal more effectively with change. An office is a place where you’ll find an abundance of both. Work is where you spend most of your time. If you’re stressed out at work, this will affect you psychologically, physically, and impact other areas of your life such as relationships and overall happiness. Work-related anxiety is known to cause headaches and insomnia. If it persists, it can cause high blood pressure, depression and weaken your immune system. To add to the problem, many people suffering from work-related stress resort to unhealthy means of coping, such as smoking, binge eating, alcohol, and even abuse of those closest to them. The ability to control our responses to others is critical at the office. It’s a bad idea to tell the boss off, and annoying your co-workers will only add more stress. When we are aware and in control of our emotions, we are more able to suppress improper, aggressive responses and reactions. When we are in a problem-solving environment, such as work, it is crucial that our brain remains in an open, resilient mode instead of getting bogged down by negative thoughts and feelings. Dealing with daily change and pressures is a necessary skill for high-level performance and consistent inner calm, and mindful meditation can make work an interesting challenge instead of an emotional hazard zone. The good news is that many companies are starting to embrace mindfulness and are organizing on-site meditation programs. If your company doesn’t have a program, you can still engage in mindful meditation. Short breathing meditations can be done at a desk and can quickly shift your mind to problem-solving stance instead of panic mode. When work pressures become overwhelming, use mindful meditation to keep yourself in a calm zone. All kinds of ideas may be flowing through your mind. “My report isn’t good enough.” “The boss will fire me.” Your mind is scattering into all kinds of areas except focusing on the report. As you take control and change those intruding thoughts, it will be easier to approach the problem in a more productive way. Tell yourself two reasons why the situation won’t be as bad as it appears. Then, give yourself two ways of dealing with a worst-case scenario. If the boss really does hate the report, what actions can you take to resolve the problem? Instead of merely reacting, you are proactively seeking solutions. A quick mindful meditation at your desk, or away from your desk, when necessary, will have immediate soothing consequences. If possible, practice the Happy Place Meditation, as it is excellent preparation for facing adversity. Instead of remaining overwhelmed by what the boss may do, you will be prepared to listen mindfully to what is being said and form a more reasoned response. Many of us don’t listen carefully when we are upset. We are too busy preparing your reply. To really listen and hear what is being said, look into the speaker’s eyes. Keep your mind focused on what is being said instead of thinking about how you will answer. It’s all too common to talk without thinking and say things that we wish we could take back. Mindful listening improves how we communicate with others. You hear the words and the intent behind the words. When people notice that you are genuinely paying attention, they are far more likely to listen to what you have to say. 1. Before leaving for work in the morning, tell yourself that you will remain calm and mindful. This will set the tone for the day before you leave the house. 2. Become aware of how your thoughts add to your stress. Expecting things to go wrong will also set the tone for the day, although in a very negative way. 3. Have lunch with a friend or eat alone instead of lunching with co-workers. Getting away from the office, whether physically or mentally, can relieve work-related anxiety. 4. Take regular mindful breathing breaks. Relationships are confusing and can bring out the worse behavior in anyone. Whether it’s your family, a date, friend or co-workers, even good relationships present constant challenges. One of the reason relationships turn problematic is that many of us remain unaware of the other person’s needs. We tend to be more focused on what we want. We have discussed the importance of self-awareness. However, when there are other people in our lives, we need to extend awareness to them, as well. If we don’t, we will find ourselves engaging in a constant struggle for power. The standard advice for relationship problems is to “work on the relationship,” usually with a counselor. While this can certainly be beneficial, it is also crucial that we overcome our own insecurities and become more loving and understanding toward our partner. We need to work on ourselves. When we are in conflict with another person, especially a loved one, we are more likely to be talking and expressing our grievances instead of listening. We’ve already discussed the importance of mindful listening. It’s the basis of any important relationship. When we just hear words, we quickly label and file them away without being aware of what is really being said. We’re too busy framing a reply to really “get” it. This leaves the other person frustrated and unheard. Imagine your spouse telling you, “You forgot to pick up the dry cleaning as you promised.” What you hear is, “You’re too stupid to be trusted with a simple task.” Instead of mindfully listening to what is being said, you react to the unspoken words. “All you do is become a nag!” We are wired for a “fight or flight” response. For cavemen, it was a matter of survival. For us, thankfully, there are other options. Instead, of blindly responding, take a deep breath. Think about what you’re going to say instead of reacting with the first thought that enters your mind. Consider how your words will affect the other person. Make a conscious choice to use a normal tone of voice instead of attacking. When you engage in a more mindful conversation, you eliminate many misunderstandings that can damage a relationship. Mindfulness is always non-judgmental. Most of us yearn to improve our relationships. Mindful meditation helps us clear our mind so that we are able to listen without judging and embrace kindness to avoid confrontations. The next time you are tempted to engage in a confrontation with someone, simply stop. Become aware of any tension developing in your body. Is your breathing becoming shallow? Is your heart pounding? Are your muscles tensing? Simply notice without the need to judge or condemn. Now, breathe into the tension. Focus on your right hand as you make a fist. Imagine the tension flowing into your hand. Now, open your first and release the tension. Do this regardless of what the other person is saying or doing. Forget about proving that you’re “right.” Simply focus on your body. It only takes seconds, but in those moments, you have shifted your awareness to your anxiety and have chosen not to react but to remain in focused control instead. Becoming more mindful can have a tremendously positive effect on your relationships. We all want to be happy. It’s our natural condition. It used to be believed that our capacity for happiness is innate. We’re born with a certain happiness threshold, and that was the baseline. There is evidence that circumstances may raise or lower your baseline, but that it will eventually return to the original level. For example, when someone experiences something exciting, such as receiving a much-wanted gift or a dream vacation, the happiness meter rises immensely for a while, then naturally levels off. These bursts of occasion positivity really don’t affect the overall quality of our life. In the case of severe grief, our natural happiness level may plummet, but, eventually, it will return to the normal level. Neither extreme joy or extreme grief has a permanent effect on our happiness. Does that mean that we cannot enhance our happiness state? Before we discuss meditation, it is important to point out that our basic level of happiness consists not of some single circumstance. Instead, it’s the small, daily joys that elevate our mood … a beautiful sunset, lunch with a friend, a good book all have the power to raise our spirits. We need to become aware of these mood elevators and consciously pursue them. It’s important to savor those moments and give gratitude for the experience. Happy people make a deliberate decision to pursue these moments. When it comes to moods, researchers have long focused on the negatives, such as depression and anxiety. It’s as if happiness isn’t worth studying. But that is changing. Dr. Richard Davidson of the University of Wisconsin has spent considerable time studying Tibetan monks. More recently, he followed employees taking part in an eight-week mindful meditation program. The results of Dr. Davidson’s finding show that, in all cases, a program of mindful meditation can elevate a person’s mood. You needn’t be a monk to reap the benefits. Following the meditation program, participants reported enhanced positive moods and decreased negative feeling. New research has found for about 50 percent of our baseline mood level is derived from genetics. Ten percent of our mood depends on circumstances, good or bad. That leaves 40 percent of our mood in our control. Happiness is something we can consciously cultivate and grow. This is very exciting news, indeed. Mindful meditation has proven to be a solid foundation on which to build positive emotions, along with savoring all of life’s small pleasures. However, the emotions of shame and anger can be a tremendous barrier to our happiness. Sit comfortably, close your eyes, and practice mindful breathing for 5 minutes. Allow thoughts, words or images of someone you can’t forgive yourself to surface in your mind. It can be someone you’ve hurt, and you have regretted your actions ever since. Let your mind wander to how much you cared for this person and the pain that you caused. If you are remorseful, feel those emotions. Accept what happened in the past. It is done. It is time to forgive yourself. Feel free to use words appropriate to your situation. This exercise will lift the burden from your heart and allow the feeling of happiness in its place. How does mindfulness help at work? In its simplest form, mindfulness means awareness. Practicing mindfulness offers a way to pay attention to the present moment, without judgment. Mindfulness can help to reduce stress and anxiety and conflict and increase resilience and emotional intelligence while improving communication in the workplace. How do you meditate before work? For better or for worse, the way our mornings unfold has a tendency to impact the rest of our day. This is why starting your morning with a short mindfulness practice can have such positive lasting effects throughout the day, says Michael Apollo, the director of the University of Toronto’s applied mindfulness meditation program. How can I be mindful at my desk? Most of us spend a great deal of time sitting behind our desks, or in conference rooms or colleagues’ offices, so having a short practice that helps you relax while at work can be beneficial. What I call the desk chair meditation gives you a way to incorporate short mindfulness practice into your day. Simple Mindfulness Techniques: How Can You Be More Mindful? I have discovered in my meditation studies, there are hundreds of meditation methods from cultures around the world. One challenge many have is how to become more mindful to experience this method through simple mindfulness techniques. I have some very simple and straight forward techniques you can use today. How can you be more mindful? Mindfulness as the practice of maintaining a nonjudgmental state of heightened or complete awareness of your conscious thoughts, emotions, and daily experiences on a moment-to-moment basis. Basically, mindfulness means not only being aware of events in your life but, also and controlling your daily experiences. In addition to breathing meditation, there are simple mindfulness techniques that will help you enhance your awareness and become more mindful. So much is going on around us at all times, yet most of the time, we move through the day on autopilot. It’s time to wake up from our daily routines and begin to change our lives for the better. Check out this 3:00 video simple mindfulness techniques from Men of Mastery on how to use mindfulness anytime, anywhere. Good to know information! Use this simple mindfulness meditation technique every day to meditate anytime, anywhere. The benefits of daily mindfulness meditation practice are incredible, but you must become a consistent practitioner in order to experience them. This is great information on how to practice simple mindfulness techniques in your daily life. What has been your experience using mindfulness in your daily life? How can you begin to practice mindfulness throughout the day? The objective of this meditation technique is to remain fully awake throughout the whole session. You focus on one object purposefully until you reach the point where you’re no longer thinking about anything else. You just observe. You’re not analyzing, processing, reading into or otherwise interpreting what you’re seeing. Instead, you just allow yourself to observe an object in front of you and take in as much information about the object as possible. The key here is to do it in a systematic and methodical way. If you have gadgets or have mobile devices that send out all sorts of notification sounds due to email or social media, you need to turn them all off. It’s time to disconnect from the world as you know it. Making small changes in your life will pay off big time for you down the road. Remember, you’re just doing this for 15 to 20 minutes. It’s not that long, so you can afford to turn off all your gadgets. Start small, finish big with your new and improved life. You don’t have to sit like a Buddhist monk or use the lotus position. There’s no need for overly dramatic body positioning. It’s okay just be comfortable. Keep in mind that you shouldn’t be so comfortable that you fall asleep. You need to be comfortable, but at the same time remain fully awake. This is why I insist that you should keep your back straight. Don’t slouch. Again, this is just going to be for 20 minutes, so I’m sure you can handle not slouching for 15 to 20 minutes. Unlike other meditation techniques that require you to shut your eyes, this technique allows you to keep your eyes open. In fact, it requires you to keep your eyes open because this is not going to work if your eyes are shut. This is the fun part! Make sure your eyes are fully open, and then effortlessly and naturally scan the scene in front of you. You’re not looking for anything in particular. Just allow your eyes to go around the room and just take in everything. Just look at everything as much as you can. You can do one pass or two passes. As you are scanning the room, take a deep, slow breath. Repeat that as your eyes scan slowly across the room. Take a slow deep, breath. Keep repeating this breathing pattern. Don’t focus on your breath. Just focus on what you’re looking at as your eyes scan. Remember, your eyes aren’t settling on any object yet. There is no right or wrong answer here. It doesn’t really matter what kind of object your eyes settle on. As long as it feels natural, or you’re not forcing it, it’s okay. Maybe your eyes will settle on the floor or on a doorknob. It doesn’t really matter, as long as it’s natural, and you allowed your attention to settle slowly and gently on a particular object, then you’re ready for the next step. Step 5: After You Have Selected A Single Object, Thoroughly Observe It. This is very important. You must observe it. You’re not describing it to yourself, analyzing it, interpreting it, or figuring out what it means. You’re not even cross-referencing it to things that you’ve seen or perceived in the past. You’re not doing any of that. Don’t do that. Instead, choose to observe each and every one of the basic elements of the object. Pay attention to its shape. Take note of how light bounces out of it. Pay close attention to the specific colors on the object. Observe its texture, and so on and so forth. In other words, keep your observation shallow in terms of what you can see in front of you. Focus on what you can see in front of you, or what’s right there. Don’t read into the object, try to pick it apart with your mind, and assume all sorts of things. You’re not doing that. Instead, you’re just observing and taking in as many details as possible, but you’re doing this in on an element by element basis. This is very important. Instead of just observing everything all at once, choose to observe the object based on its elements. You can start with a shape, then you can go on to how the light bounces off of it, and afterward, you can move on to color, and so on and so forth. Go from element to element, but you have to do this slowly. If you do this right, you will reach a point where you’re not thinking about anything else except the element of that object that you are choosing to observe at that present time. Start the process of going back to your normal consciousness by dialing back your observation and zooming out. When you zoom out, you go from looking at how light bounces off the surface of the object to the overall shape and appearance of the object. You then zoom out again, and you start seeing the whole scene within the room. You zoom out again, and you see the whole room. Slowly start looking at other objects and allow yourself to take faster, shallow breaths again. While you were closely observing the object, your breath was deep and slow. Now, you’re using your normal breath, which is shallow and fast. You should also just allow your eyes to move around the room. You’re back to your normal consciousness. The total time for this should be around 15 to 20 minutes. If greater well-being isn’t enough of an incentive, scientists have discovered that mindfulness techniques help improve physical health in a number of ways. Mindfulness can: help relieve stress, treat heart disease, lower blood pressure, reduce chronic pain, improve sleep, and much more. This mindful meditation is useful in releasing tension at the end of a day and in helping you fall asleep easily. Tension can frequently settle in specific areas of the body, such as shoulders, bringing on aches and fatigue. This will draw attention to trouble spots and help you relax. Sit or lay anywhere you are comfortable. Close your eyes and breathe in and out for 5 minutes to enhance relaxation. Shift your focus to your body. As you breathe, become aware of various body parts. Start with the toes and feet. Move to the ankles and up the legs. As you notice any tension, breathe into it, then exhale. Keep breathing as your awareness moves past your hips to your torso. Breathe into any tension that you may notice. Keep breathing and notice your arms, hands, and fingers. Continue to breathe into spots that feel tense. As you continue to breathe, move your awareness to your shoulders, neck, face, and skull. Breathe slowly into any tension spots. Spend as much time on any tense spot as is necessary. This is a wonderful exercise to relieve tension, calm your mind and hone the way we deal with stress. As with the other meditations, sit comfortably and practice the basic breathing meditation for five minutes to relax. Take a deep breath and inhale. Wait for a second and exhale while counting out the number 1 in your mind. Take another deep breath and inhale. Wait … and count out the number 2. Continue doing this until you have counted to number 10. Repeat this counting process by starting with the number 9 and going backward to 1. If at any time during this exercise you lose track of a number, start over from the beginning. As you get better, you can increase the base number to 20, or even 30. Sit comfortably and enjoy five minutes of mindful breathing meditation. Now, imagine you are in a peaceful, beautiful place. It can be a place you’ve been to or a place you can imagine in your mind. Create a place that is very relaxing and soothing. There’s no place you’d rather be right now. Look around and vividly experience the sights, sounds, and colors around you. Notice how your body feels. Allow yourself to become lost in the beauty of your special place. Take all the time you want. Make this your place of peace and comfort, you can’t do this wrong, this is your creation of happiness. Notice the sense of peace and calm flooding through your body. When you are ready to leave, take a deep breath and open your eyes. You are now ready to face the challenges of your day. How long should I do mindfulness meditation? If you are just starting out with mindfulness or any meditation method, I recommend you meditate for anywhere from 5 to 10 minutes every day anytime or place. You can start with even less. Maybe try it for 1 minute in the morning when you first wake up. And when you can sit still and relax for that period of time, move to 2 minutes and work your way up to a time you feel comfortable with up to twenty minutes. Does mindfulness work for anxiety? By focusing our attention on the present moment using your breath, mindfulness counteracts anxiety and stress. Mindfulness can be an important tool for helping you to better focus on the present moment. Research has proven that mindfulness is extremely effective and helps us reduce anxiety and depression. What mindfulness does to the brain? MRI scans show that after an eight-week course of mindfulness practice, the brain’s “fight or flight” center, the amygdala, appears to shrink. This primal region of the brain, associated with the fight or flight response as well as fear and emotion, is involved in the initiation of the body’s response to stress.